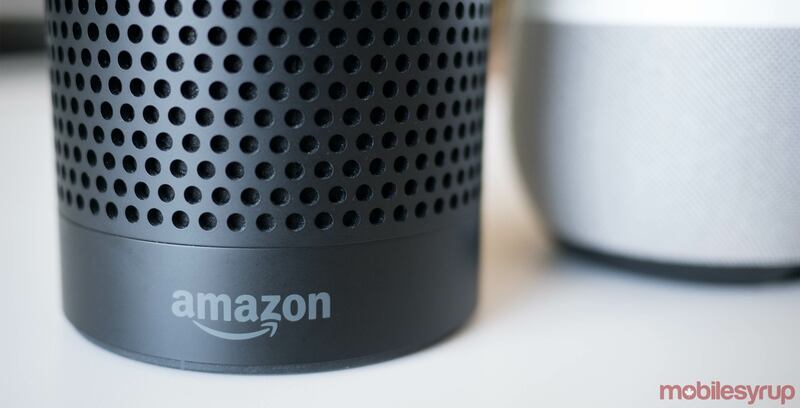 If you’re like me and purchased an Amazon Echo prior to the device’s official Canadian launch, you’ve been stuck with U.S. English, and it looks like that’s set to continue, unfortunately. ‘Canadian English’ and that Canadian skills are not supported by the 1st Gen Amazon Echo, 1st Gen Echo Dot and 1st Gen Echo Show, or the Amazon Tap. Canadian English language settings do not seem to be an available option for Alexa-enabled devices like the Ecobee 4 or the Fabriq Chorus smart speaker either, despite the fact that the devices are now officially available in Canada. It seems only Echo devices officially released in Canada, which include the Echo Plus, 2nd Gen Echo and Echo Dot, support Canadian English language settings. In comparison, when Google brought its Home voice-activated assistant speaker to Canada, U.S. versions of the device could easily be switched to Canadian english. Amazon notes that customers switching countries may lose access to content purchased from other countries, as well as the ability to utilize certain region-specific skills. In order to change your device’s location, open up the settings menu from within Amazon’s Alexa app, either on iOS or Android, and select ‘Country Settings.’ Amazon has also published a more detailed guide related to switching an Echo device’s region. Examples of Canadian specific skills include Air Canada, BMO, TD, Telus, Sportsnet, theScore, CBC, The Weather Network, and Yellow Pages. For a more complete list of Canadian-specific Alexa skills, check out this link.